For more than three decades, Charter One Realty has been the Lowcountry’s trusted leader in Real Estate and our sales record places us as the #1 brokerage in the Lowcountry. Our depth of knowledge and analytical approach to the Lowcountry real estate market inspire trust and confidence from our clients and it is why buyers, sellers, and developers choose Charter One Realty - not just once, but over and over again. 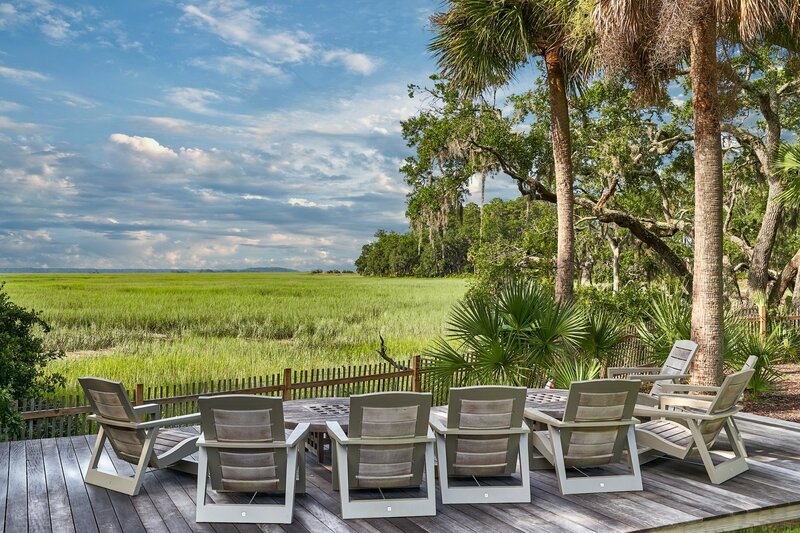 Making it your home, or your home away from home, Hilton Head Island and the South Carolina Lowcountry will drape her arm around your shoulder, guide you to the best seat on the porch, and most certainly capture your attention. Where the bridges span stretches of pristine waterways leading to splendidly appointed homes among the salt marshes and beside the sea; here, nature guides the pace of the day, where living richly is requisite and moments that matter are enjoyed. Inviting you to make yourself at home, the ways to craft your moments, minutes, and months are nearly limitless. 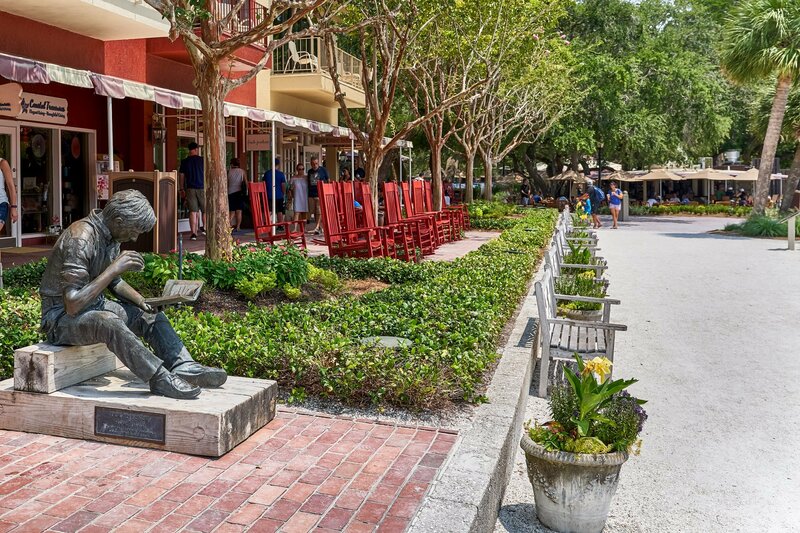 World-renowned golf and tennis, miles of bike paths and nature trails, where enticements to shop and dine locally are around every palm tree and porch rocker. Nature is a priority here, from the beaches of Hilton Head Island to the winding banks of the May River; the centuries-old maritime forests of Palmetto Bluff to the historic streets of Downtown Beaufort, this is the essence of the Lowcountry of South Carolina. This is where living luxuriously feels as easy as the breezes wafting through the Spanish Moss and across the porch, where the view is sublime, and where your attention has most undoubtedly been captured. From oceanfront properties to waterfront family estates, a real estate purchase is an investment decision and a lifestyle enhancement. Charter One Realty invites you to explore the luxury real estate opportunities in the Lowcountry as they match properties with your passions. With a serene atmosphere and numerous miles of lush nature covering the landscape, Hilton Head Island has become especially renowned for its many gated and golf course communities. With gorgeous South Carolina homes tucked away in neighborhoods like Sea Pines Plantation, Palmetto Dunes, and Port Royal Plantation, you can experience what the South Carolina Lowcountry and Hilton Head Island area are all about in a setting that’s gorgeously scenic every day of the year. 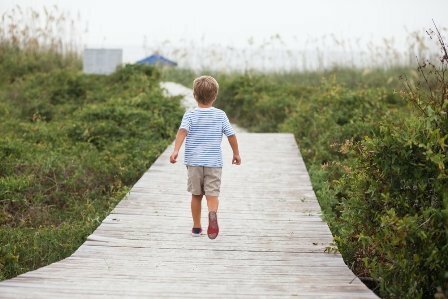 Each one of our beautiful communities, be it on Hilton Head Island or on the mainland, offers a lifestyle to suit every need. With over 12 miles of some of the best beaches in the United States, Hilton Head Island is known for its beautiful white sand. Hilton Head Island's beaches start from the southernmost tip of Sea Pines and continue to the "heel" of the island in Hilton Head Plantation. Oceanfront Real Estate offers unobstructed views of the waters of the Atlantic Ocean. The inland side of Hilton Head Island and throughout Bluffton offers equally beautiful views along the unspoiled coastline, tidal marsh, salt marsh estuaries and pristine river systems. Waterfront Properties are available in world-class golf resorts like Colleton River, Belfair, Berkeley Hall, and Oldfield. Be sure to visit our blog and newsletter archive to read more about Hilton Head Island real estate and happenings in the Lowcountry. Sign up for our newsletter to receive regular updates on new listings, real estate updates, and local events. The Charter One Realty team of commercial real estate professionals specializes in commercial real estate on Hilton Head Island and the Mainland. Our commercial team is equipped with years of experience in commercial real estate in the area and provides clients with the knowledge and service necessary to complete any commercial transaction. Our expertise includes but is not limited to commercial land, retail, industrial use, office, medical buildings and facilities, hospitality, and investment real estate. Whether searching for a commercial building for sale or lease, the perfect office space in Hilton Head Island, a retail space for rent in Bluffton, or the ideal kitchen for your waterfront restaurant on Hilton Head Island, we are committed to formulating a solution to your specific commercial real estate needs. For three decades, Charter One Realty has been the Lowcountry’s trusted leader in real estate. We are proud to be the name that you know, the face in the community that you recognize, and the experienced professionals that you need when buying or selling a home. If you are considering buying or selling real estate on Hilton Head Island or real estate in Bluffton, please take a look at our 2018 Year End Market Report. 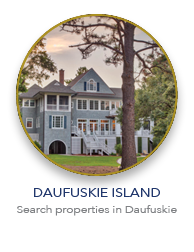 It contains information regarding 2018 market performance and valuable information regarding real estate sales, new listings, and pending sales in Hilton Head, Daufuskie Island, Bluffton, Beaufort, and the surrounding mainland. Download the full report here. 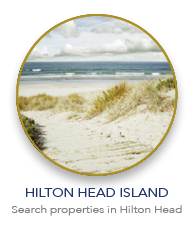 Not sure where to start your Hilton Head Real Estate or Bluffton Real Estate search? Browse our Hilton Head Island, Bluffton, and Beaufort communities page, and learn about the neighborhoods and the listings for sale in that community. Looking beyond the Lowcountry? Try our Global Luxury Search where you can search international luxury real estate right from CharterOneRealty.com. Through our affiliation with the Who's Who in Luxury Real Estate network, Charter One Realty website visitors have access to Luxury real estate for sale worldwide. Our website provides visitors the ability to search property listings around the world. Start browsing the inventory of luxury homes that match your needs right here on CharterOneRealty.com. Contact us to learn more about showcasing your luxury property to the world. 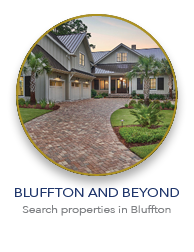 Whether searching for homes, villas, condos, homesites, land or commercial property, you will find it all on our website featuring Hilton Head Island Real Estate, Bluffton Real Estate, Beaufort Real Estate, and luxury properties around the world. Looking for something specific? 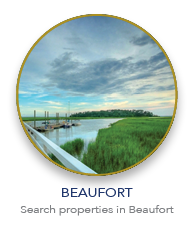 Use our simple MLS search tool to filter through Hilton Head Island & Bluffton real estate listings. Create custom searches by area, zip code, sale price, property type, property features and more. 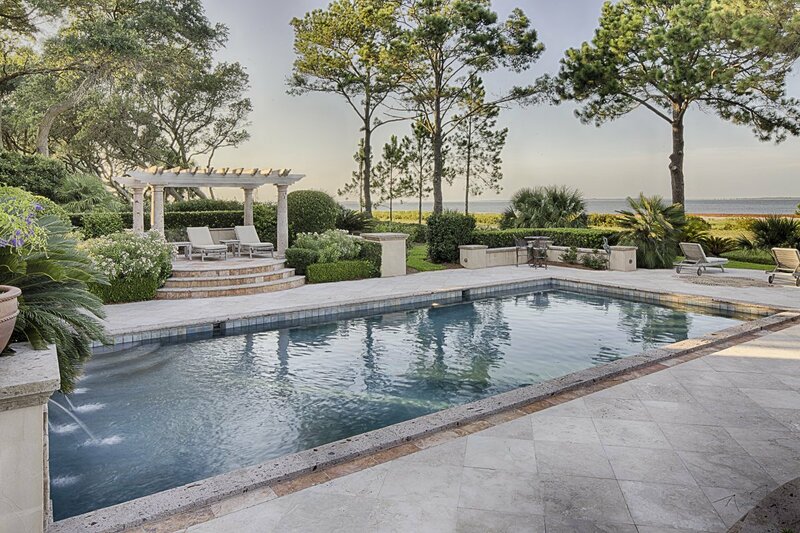 At Charter One Realty, our team of professionals has assisted numerous clients in finding Hilton Head Real Estate and Bluffton Real Estate such as a new vacation or permanent home in or near Hilton Head Island. We are the #1 real estate company in this market and have been for over a decade. Learn more about our team of experts. Ready to find your dream home on Hilton Head Island or in Bluffton? Contact one of our helpful agents to get started on your search!